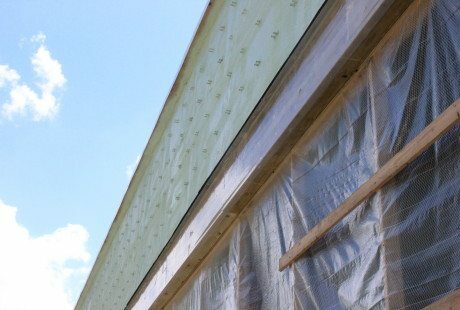 We worked with the client and builders to create an insulation plan that worked for everyone. 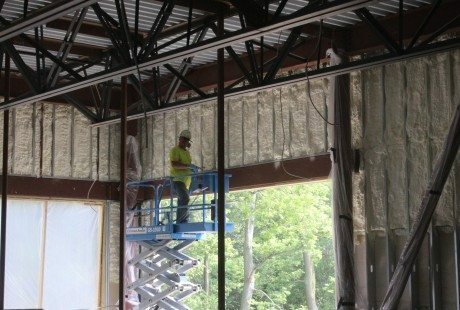 The concept is focused on the use of air barriers – material that stops the passage of air through the building envelope. 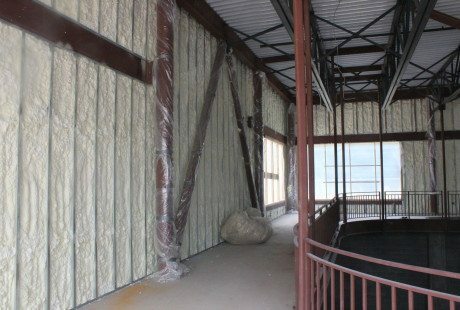 Spray foams works great as an air barrier because air does not pass through it. 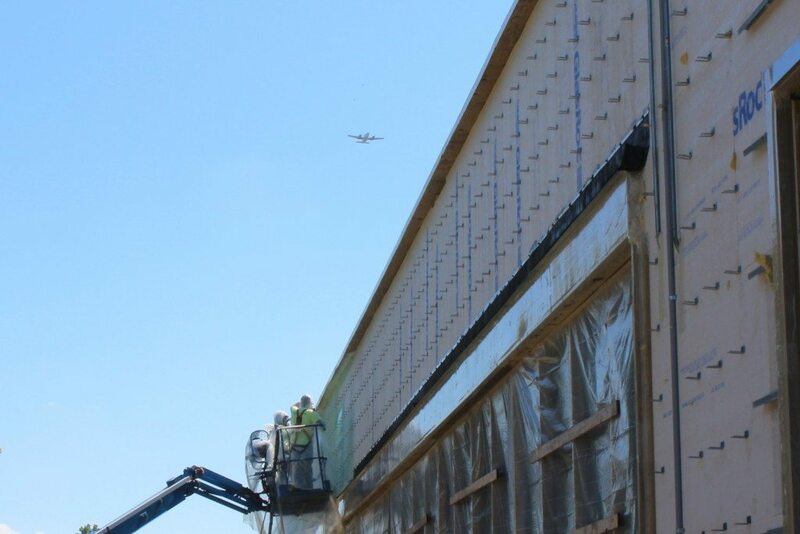 When the foam is applied, it expands and conforms to all of the irregular shapes and gaps of a structure. 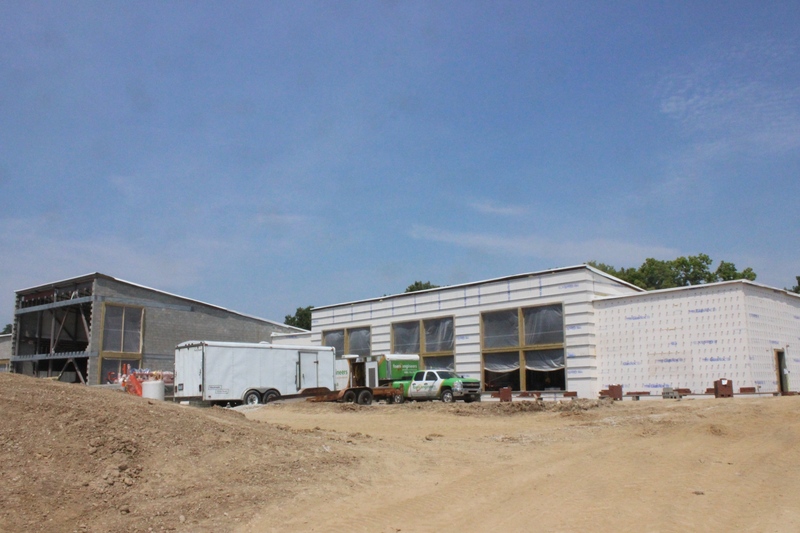 On the exterior of the building, we applied 2 lb. 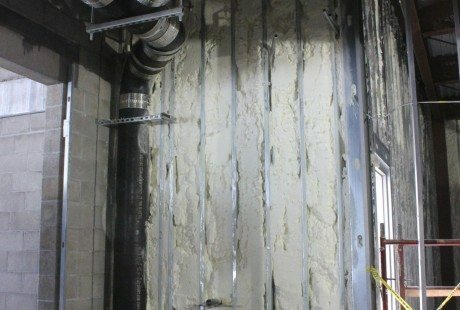 closed-cell spray foam to the exterior gypsum. It fills all gaps around doorways, windows, and material transitions. It serves as an air and vapor barrier as well as a drainage plane. 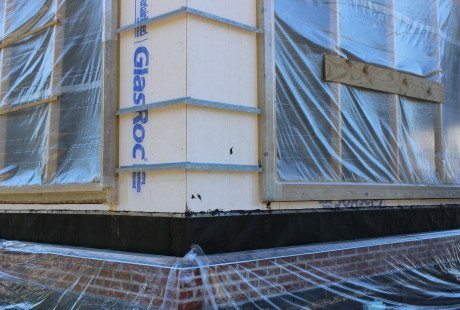 This exterior foam was then covered with Brick and Nichiha Architectural wall panels. 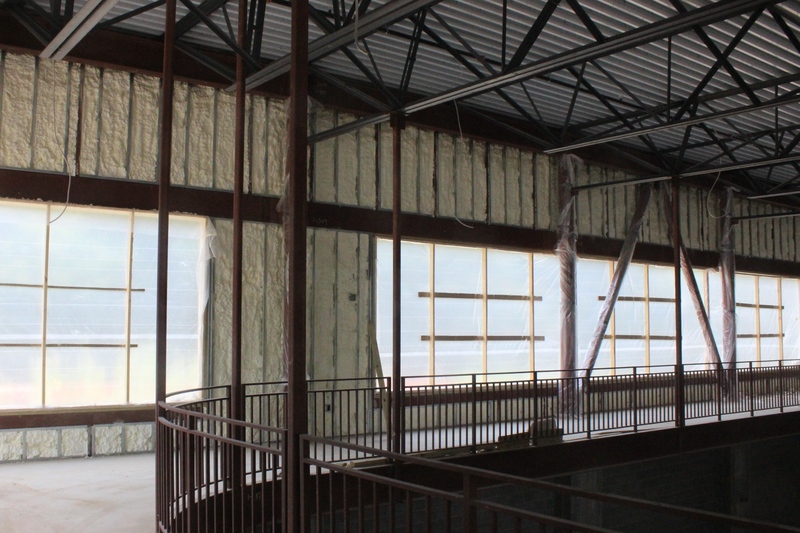 Inside the building, we sprayed 1/2 lb open-cell spray foam on the interior gypsum sheathing between the metal studs. 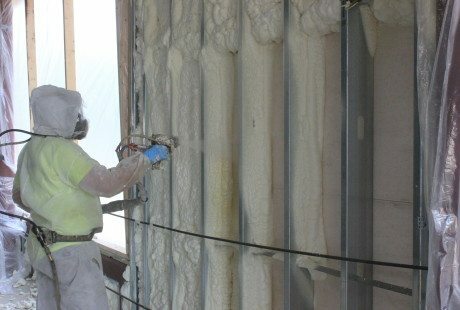 The interior spray foam serves as an accessory to the exterior foam and ensures that the air barrier is complete.